Archive for category: Getting to Know I.T. You are here: Home / Latest News / Getting to Know I.T. As with most new things, tablets have become the shiny must-have technology but are they practical for day-to-day use and can you replace your aging laptop or PC with one? Could you use one whilst out of the office instead of dragging around that cumbersome laptop? Could you use one at home or in the office instead of a PC or laptop? 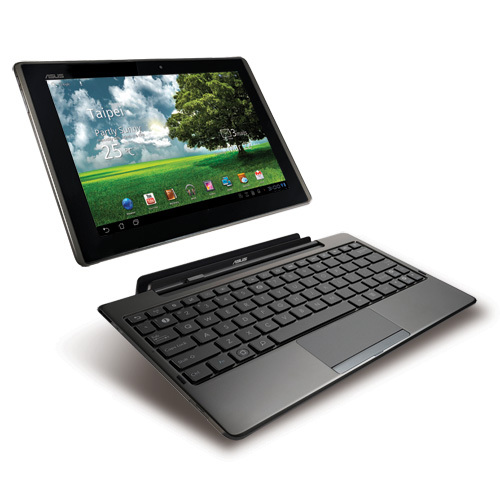 For the last few months I have been working with an ASUS Transformer 101 (android) with optional keyboard/battery pack and an Acer Iconia W500 windows 7 tablet in addition to setting up other Android models and iPads for home and business users and also asking for their feedback and impressions. For the hard-core gamer then, as with laptops, they are not going to replace the big tin box and even bigger monitor(s) you currently have. They have proved popular with home users who want to check their emails quickly, browse and even buy from the internet. With near instant on then they are better than waiting for the PC to fire up. Free and low priced Apps mean that other tasks have also been made easier. For businesses, like with their smartphones, users can check their central calendars, address book and emails quickly. It is even possible to work on office documents, intranets, SAGE, etc from Win7, android and iPad platforms – without spending a fortune. Having used both the windows 7 tablet and android tablets I would say that, at the moment, the android is a better buy. Windows 8, out later this year, may change things but unless you must run software that only runs on a windows platform then it will be cheaper with an Android device. Both the iPad and Android touchscreen keyboards are easier to use than the windows version but I couldn’t use one all day if I had a report to write. The ASUS with the optional keyboard is slightly quicker to use but still slightly cramped like a NetBook. So, good for short spells but not a replacement for the main laptop yet. Tablet computers, like SmartPhones, have been around for years but in both areas they were typically expensive and not simple or intuitive to use. Thanks to Apple we now have the iPhone and iPad which just about anyone can pick up and use within a few minutes. This has led to a range of products trying to compete in this rapidly expanding market sector. Apple controls both the hardware and software with their iOS based iPhone and iPad devices. They are easy to use and rarely need to be rebooted. The Apps market for both devices is mature and vast. One of the downsides to an iPad is that it does not support ‘flash’ video or websites. Ok for a phone but not on a device many will be looking to use as their main surfing device. Likewise Windows 7 for PCs, laptops, netbooks and tablets is less prone to crash or freeze, compared with Windows XP or Vista, and is typically much more responsive. 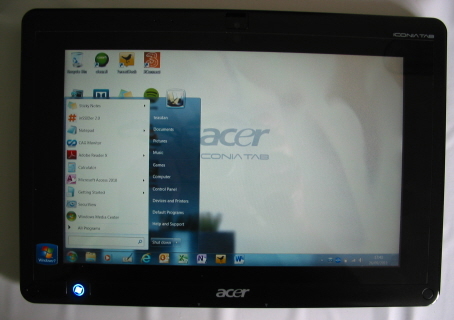 The Acer Iconia W500 is a good windows 7 based tablet choice. HP launched their Windows based Slate, which I am not even sure launched into the UK, before releasing their WebOS based TouchPad and announcing that they were reviewing their position in computer market. So TouchPad users may find their device gets no updates, support or Apps. Many reviewers also suggested it was a bit sluggish. RIM, who makes the Blackberry range, controls both the hardware & software with their Blackberry phones and PlayBook tablet. The tablet gets mixed reviews, has an Apps store but currently is only available with a 7″ screen. The majority of other tablets run Android by Google. As they can’t use Apple iOS and Microsoft license Windows 7 and Phone 7 for a fee then using Android can reduce the overall price of the tablet – as it’s free. Android 3 was designed for tablets whilst previous versions were designed, developed and flourished on smaller screened SmartPhones. Tablet makers can tweak Android and add their own features and Apps to it. This may help to explain why reviews of Android Tablets suggest that performance and stability can vary from brand to brand when, on paper, the specifications of the hardware are the same. The Apps store for Android is mature thanks to its growth on SmartPhones over the last few years. The Tablet market is likely to expand and evolve. Microsoft Windows 8, due for release in 2012, is heavily influenced by ‘touch’. Some vendors are offering interesting features such as Stylus, fingerprint swipe, keyboard attachments. They are an excellent alternative to a NetBook for web browsing and checking emails but it may be another year or so before we can throw away the laptops and desktop PCs. For a number of years I have used HP LaserJet All-in-Ones as my preferred office printer and for a similar number of years I have been saying to myself that I must scan all of my personal and business paperwork into an electronic form. One of the reasons the piles of paper got higher and less organised was that the HP scanner feature was single sided and slow. That’s ok if you have only written on one side of a 10 page document but, call me a Yorkshireman, there’s another side to write on. One of my customers asked if I could get them a ScanSnap as it had been recommended to them. After unpacking and installing the ScanSnap and its software I was a fan and had to have one for my office too. 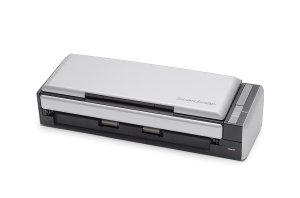 As the title says, the Fujitsu ScanSnap S1300 is a mobile scanner. It’s small but not too small to compromise the task it is asked to do. The combination of the scanner and software allow you to scan both sides of the page with a single scan then save the pages as PDF, searchable PDF, JPG, load into Microsoft Word and numerous other formats. I am now happily scanning as fast as I can to convert the mountain of paper and shelves of files into an electronic format which I can more easily access whenever and wherever I need along with ensuring it is backed up along with all of my other data. The Fujitsu ScanSnap is fast, accurate and compact. If you are out and about on the road with your laptop then it can be powered from the USB port if you can’t find a mains point. The only hesitation to getting one of these for some people may be the price which is £200-250 which could make it more viable for business users who would quickly recoup the cost with the time saved scanning and accessing documentation. Now is the time to be looking to replace your existing old computer(s). If you were considering buying a new PC or laptop then the planned increase to VAT rates should encourage you to get sorted before the New Year. Your old machine is likely to be getting noisier, slower and hotter. Over time dust is sucked into the machine and covers the components and starts to block the fans and vents, increasing the temperature of everything and demanding the fans to run faster and for longer. Overheating components are likely to result in a more rapid system failure. Older computer processor chips were not designed to run economically. Speed was king and they would run as fast as possible. Unfortunately they ran at 100% speed and power for 100% of the time. The modern computer processors in both PCs and laptops, like the Intel Core2Duo and new Core i Series, are designed to be energy efficient so that they can run longer on battery in laptops and generally use less electricity for day to day tasks but can increase or decrease their speeds according to the task requirements. Everyone is encouraged to replace their 100w light bulbs with energy-efficient ones but an old PC can be consuming 200w, which is like leaving 2 lights on – and that doesn’t include your monitor which could be another 100w or more. A modern laptop in contrast could consume just 60w whilst in-use and charging the battery. 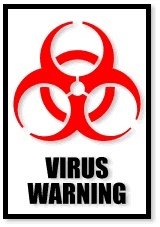 Many people were put off buying a new machine when they heard bad things about MS Windows Vista, how slow it was, how often it appeared to freeze or crash and that they had to upgrade all their other programs. 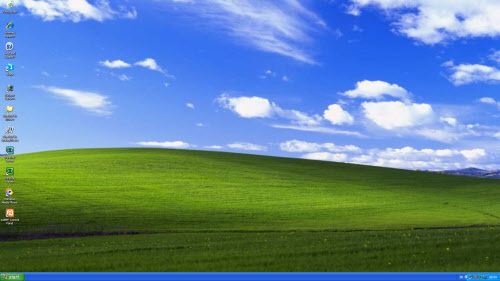 MS Windows 7, its replacement, is much better. It starts faster, rarely freezes, and runs much more smoothly and efficiently. 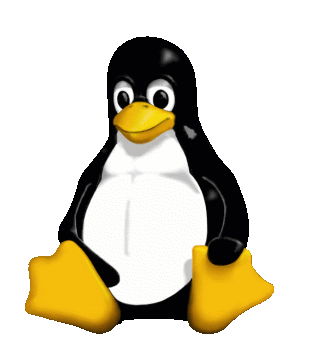 It is much more user-friendly to older programs that would run on Windows XP and has new features such as the easy to use backup software. The choice between a desktop PC and a laptop has now been joined by netbooks, slates (and iPads), MediaCentres and All-in-one touch-sensitive devices. Choose wisely and buy something that meets your needs. Something around £400 will get you a good laptop for day-to-day internet, email and word processing; For gaming, a PC with dedicated graphics is probably more cost-effective. admin https://www.tknowit.net/wp-content/uploads/2013/10/tKnowIT-logo-blue.png admin2010-06-25 20:20:132010-06-25 20:20:13Time to upgrade I.T.